…because you can never write or read too many of them! 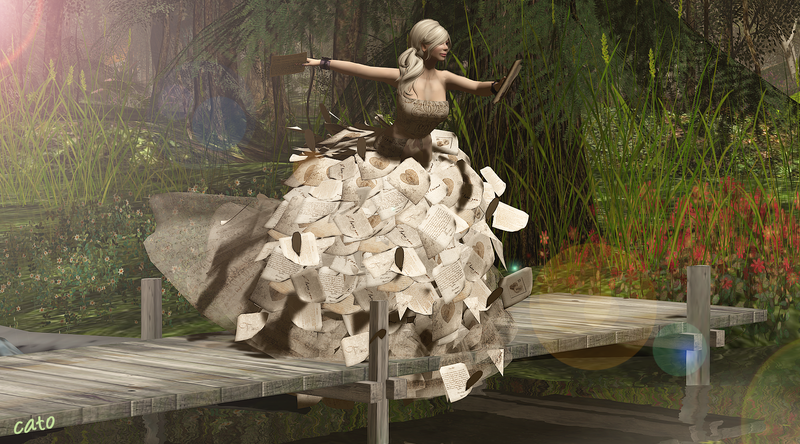 This gorgeous ‘love letter’ gown is from Fellini Couture, the letters in my hand are from What Next (props from the Love You Mailbox – Valentine edition), the pose is made by me – specially for this picture – and the pic is shot on location The Trace. PS: If you click on the photo, you will see the larger version! Next Post The Making Of: Shopping with N00bs!